We are on the lookout for talented, driven researchers who are interested in tackling fundamental problems in chromosome biology. 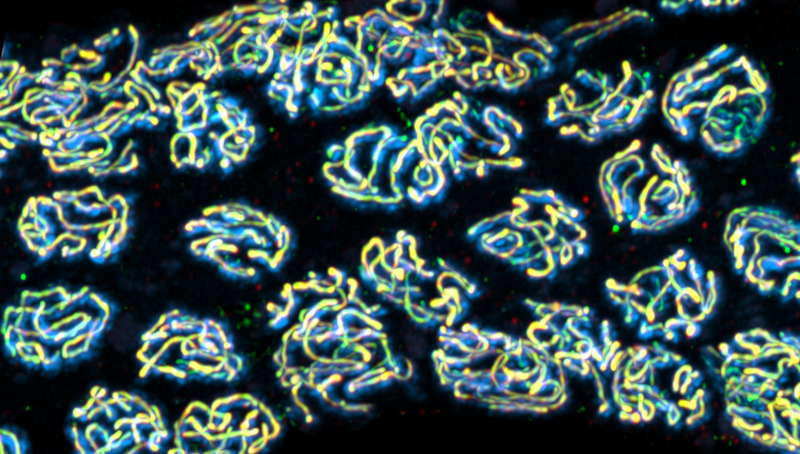 We use C. elegans and yeast, and combine cutting-edge imaging technologies in living animals with modern molecular and genetic techniques to see chromosomes in action and understand how they work. We believe that diversity drives creativity, and wish to recruit colleagues whose life experiences and training give them unique perspectives when approaching new problems. We welcome applicants from all backgrounds, including cell biology, genetics, imaging, chromosome biology, computer science and biochemistry. At the School of Biological Sciences at the University of Utah we are joining colleagues who are dedicated to exploring wide-ranging aspects of biology: from snails to pigeons to lice, and from molecular motors to synapses to chromosomes. We are fortunate to have our campus nestled against alpine peaks, a short drive from some of the best hiking, climbing, biking and skiing in the world, and some of the most dramatic natural beauty, as well as home to the Sundance Film Festival.